Welcome to week 12 of Z and Cinder’s Blog challenge! Thanks to those who have liked and shared these posts. Remember, if you have a topic you would like to suggest as a challenge, please let us know! If you could design a zone in Azeroth what would be there? Would it be a haunted zone with castles and ghosts floating around or one where all the food vendors of Azeroth could be found in one place offering you daily cooking quests? Are there specifics races or environments you don’t feel get enough attention? 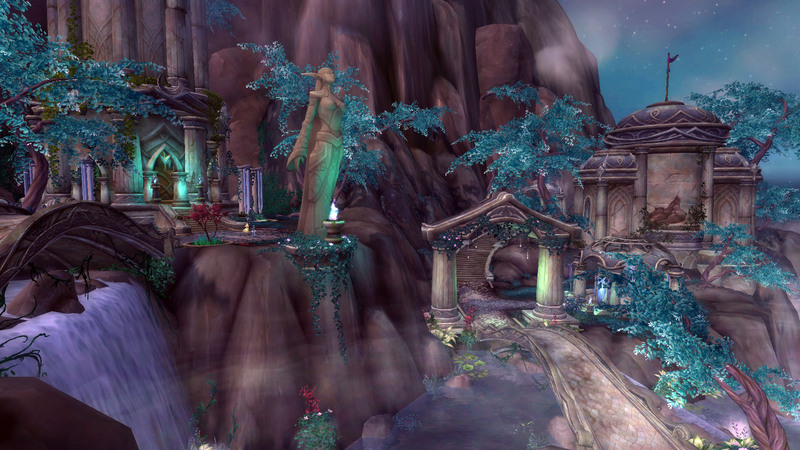 Use your imagination and tell us what zone you’d really like to see in WoW. We’ll post a new topic on 11th March. Z & Cinder Blog Challenge: Topic 12 – Design your own zone. Massive Draenei city that can be periodically destroyed by an Old God. Yup.